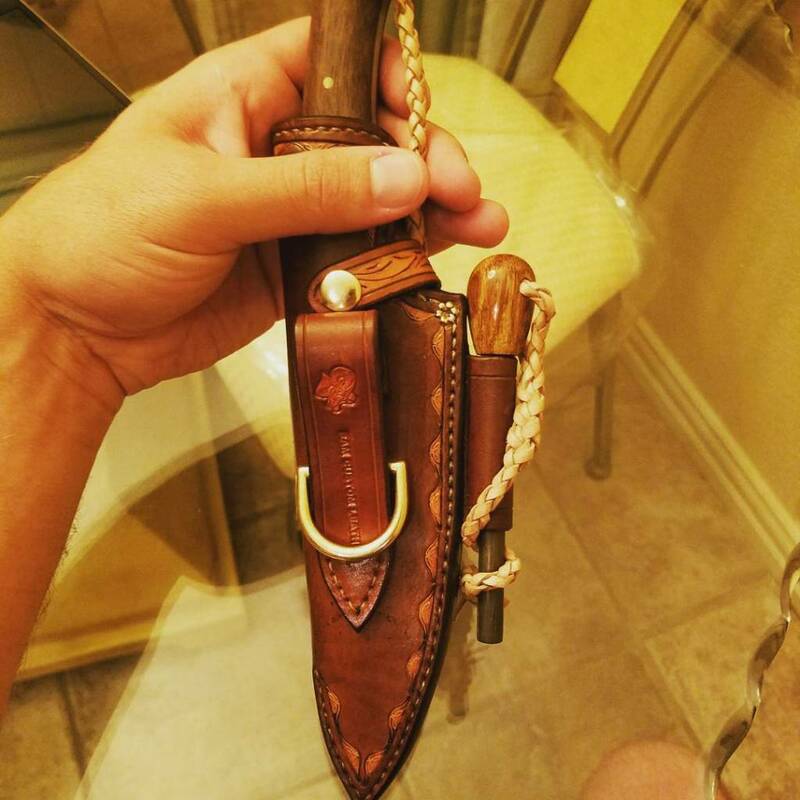 Wanted to do a little knife and sheath review of the PKS Mountaineer and Pointman's work of art in leather. Lets work out and then into the Blade. 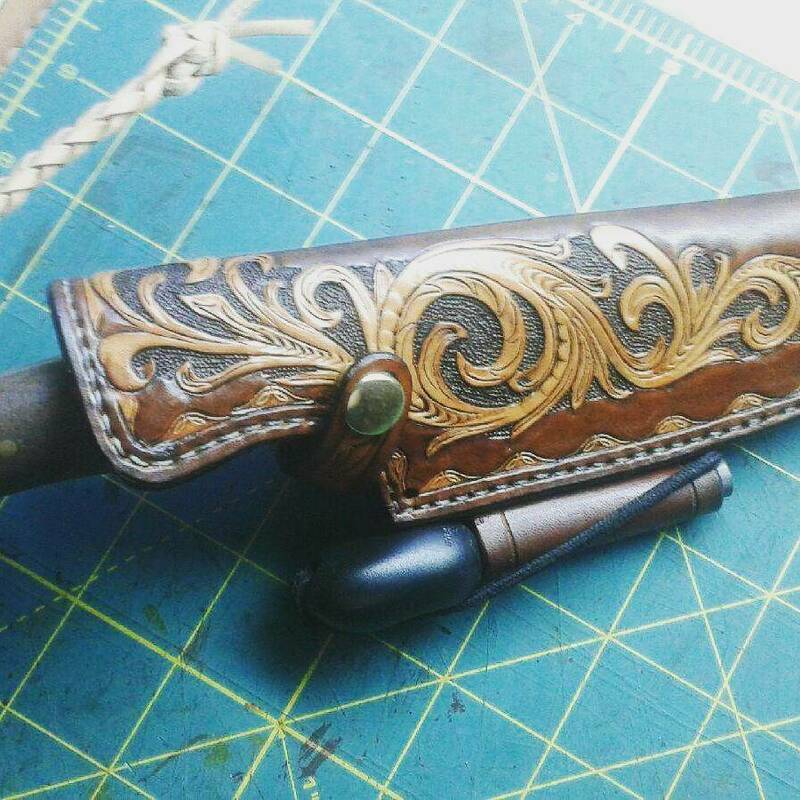 The sheath took alot of thinking, talking and figuring out exactly what I wanted to see as an end product. This took a ton of skill in patience from our dear friend Pointman. 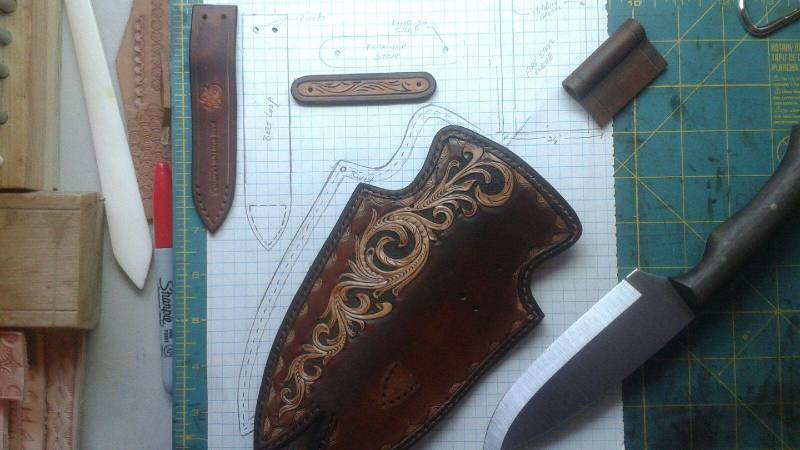 He worked diligently and took the artist appoach to every detail of this sheath. It is truely a work of art, and now cannot leave my sight in fear of losing them. 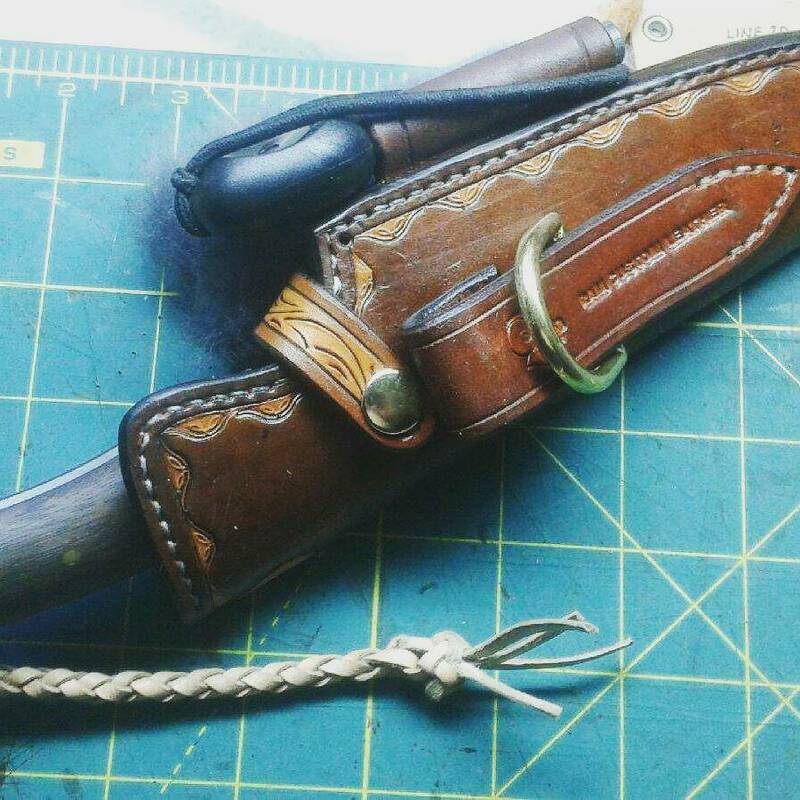 The dangler and belt loop took a bit of tweaking and we worked on it a few times. All in all we added a few point of fixed positions to secure the flop that a dangler usually gets when hiking through the woods. It is now tailored to my crazy exploits of the outdoors and a true coversation peice when out and about. Onto the Blade we Go!!!! 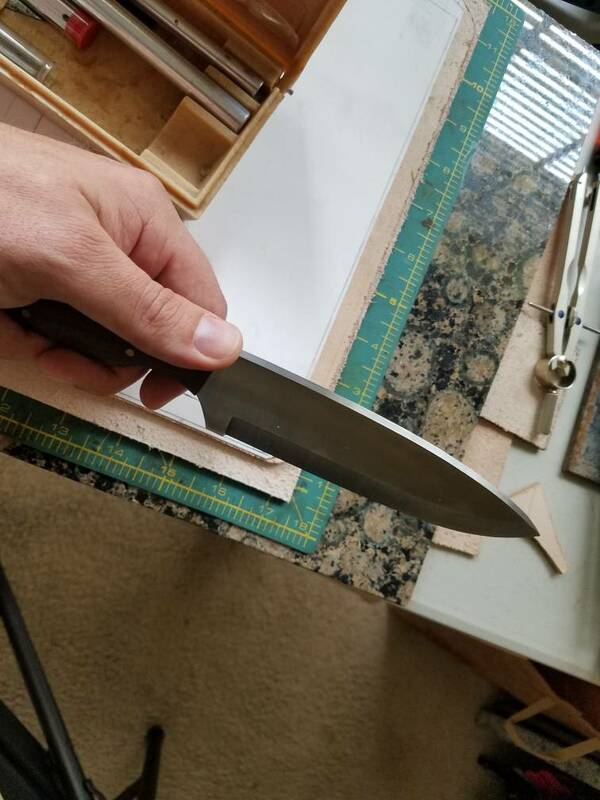 It is the PKS Mountaineer, 1095 High Carbon steel, 3/16 of an inch thick, 5 1/2 inch cutting surface with a Wide french trade knife design, overall around 10 inches. Walnut handles with a great contour and finger choil that makes the finer task that much easier. 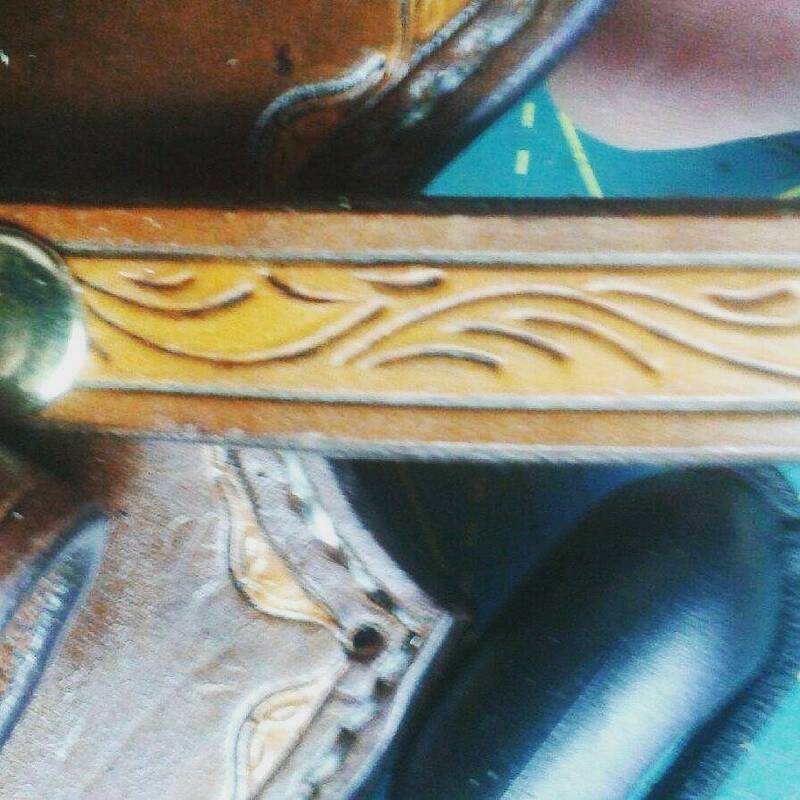 90 degree spine and no with coatings on the blade. 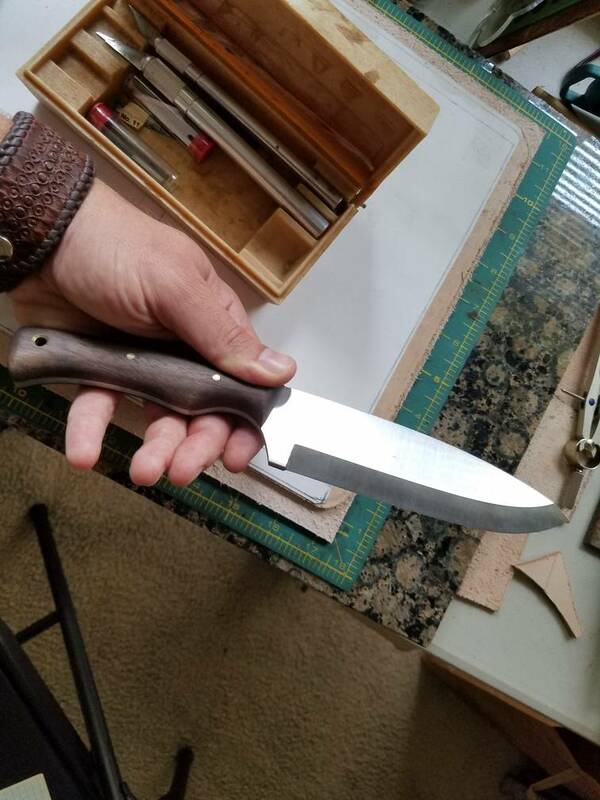 Scandi grind, Full tang powerhouse that I have put through the ringer for months. I had my eye on it for a while before my wife saw my research I was doing, BAM she got it for me as a fathers day gift. All in all this is what I will be carrying on my belt for the better part of the future and putting through its paces. I feel comfortable this is a tool thats made to be used and not shelved for eye appeal. 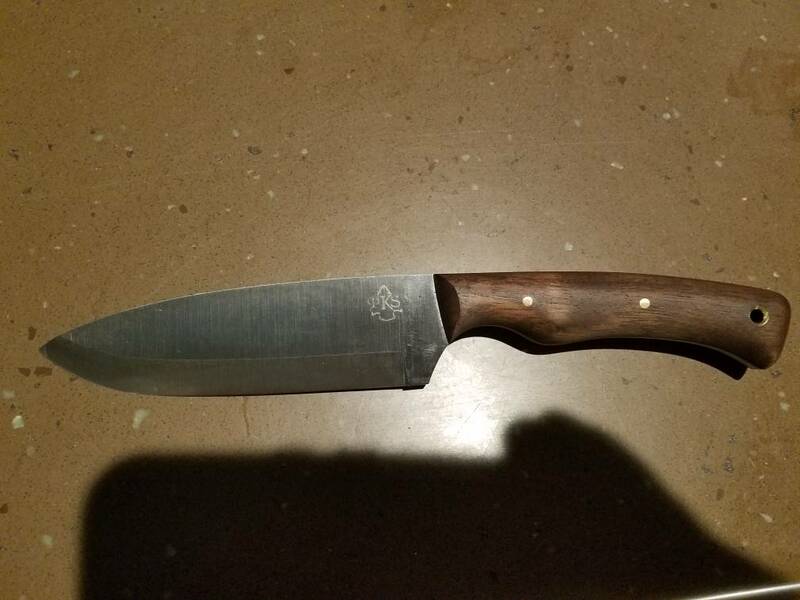 My Condor bushlore and mora will stay not far behind and the tracker I got from SAustin will be along for the ride as well. Hope this provides enough info and I will try to post some pics if i can recover them from my phone that took a dump on me last week. Thanks for the time guys and look forward to seeing you all at the fire some day. Beautiful. Well done Pointman. 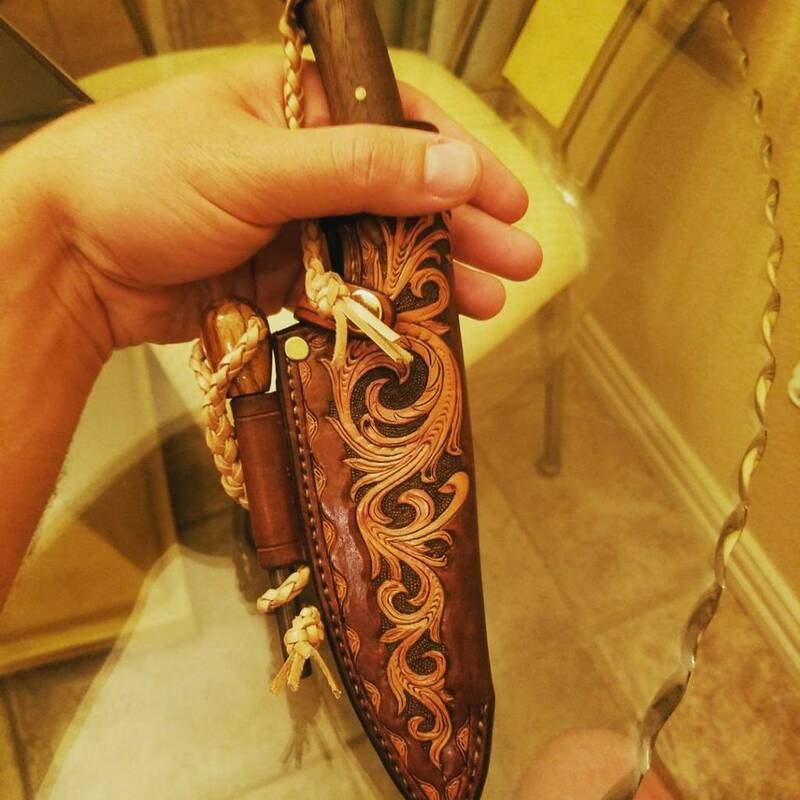 It's amazing what a pair of pants can do to a knife.